There’s a first time for everything. The milestones that mark human history can be very illuminating and enlightening, giving us insight into the essential nature of humanity. The first telescope; the first rocket flight; the first satellite; the first man in space; the first expedition to the Moon. These are the events by which we measure our progress as a species; but there are other firsts that are more subtle, yet equally profound. Canadian Chris Hadfield is a former test pilot and astronaut, who has served as commander of the International Space Station. In his long career as an astronaut, he has been director of NASA operations in Star City, Russia, chief of Robotics at Johnson Space Center, chief of ISS Operations, and chief CAPCOM at Mission Control at Kennedy Space Center. His accomplishments have earned him numerous civilian and military honors in both Canada and the United States. 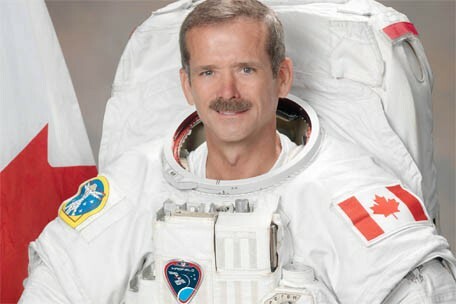 As the first Canadian to walk in space, he was commemorated by the Royal Canadian Mint on silver and gold coins. He also happens to be a musician. And thereupon we find a unique milestone. While serving as commander of the space station, Colonel Hadfield recorded the first music album in orbit. His songs were released on Earth through CBC Radio in Canada and YouTube. Then he struck gold. Before returning home, he filmed the first music video in space, a cover of David Bowie’s “Space Oddity,” which became a surprise overnight sensation. The astronaut from Earth became the rock star from outer space. 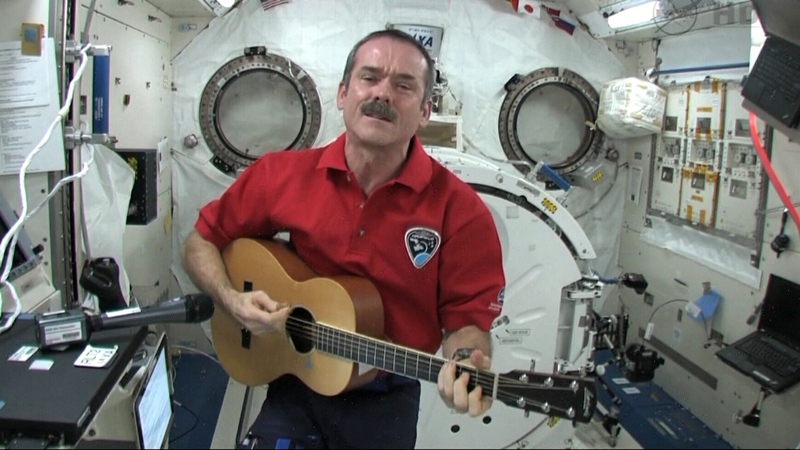 In the two years since his retirement as a space traveler, Hadfield has not only built upon his success as a singer and musician, but has also used his newfound fame as a springboard to a new career as an inspirational speaker. It is something at which he excels. He talks of facing fear and death while standing on a thin trellis three hundred miles in the sky; he talks of the minutiae of living on a tiny raft bobbing perilously in the airless void of space; he talks of the amazing discoveries that have been made and the priceless knowledge yet to be gained; he talks of traveling into the future and gives simple directions that anyone can understand. And he sings. He sings his shanties of the sea of space. People come to listen by the hundreds and by the thousands. His appearances sell out and the venues overflow. Millions more have heard his voice and his message on the Internet, and television, and in print media. 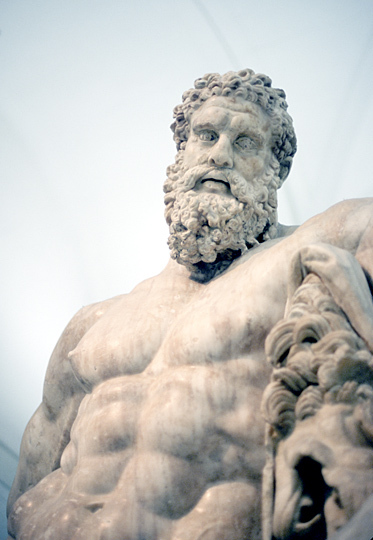 He inspires that spirit of adventure and discovery that both compels us and defines us. For the human race is defined by the Arts and Sciences. There is no dichotomy; they are two sides of the same coin. 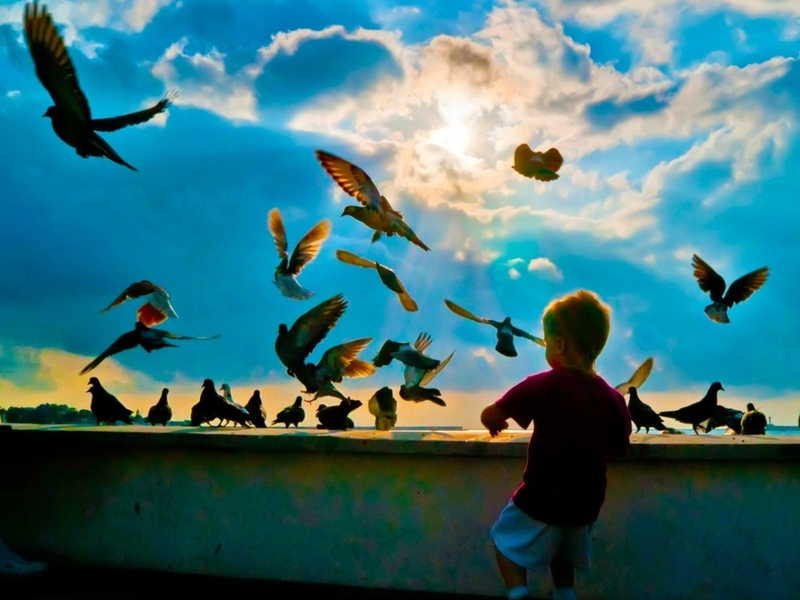 It is the sense of wonder in the heart that inspires the explorations of the mind. Chris Hadfield has used his gift of music to lift up the eyes of those who might not otherwise have seen the stars. “Dad, will you tell me a story?” asked the kid with eager eyes being tucked in bed. My father had a tremendous patience and love to offer, in the form of long and cozy bedtime stories. I used to hear them before slipping away into dreamland. Stories of heroes, suspense, drama and mystery in far away lands with deeds of great valour. Those stories made a long lasting impression on my young mind and imagination, and opened the door to unsuspected future possibilities and adventures. As time went on and I grew up, those stories slipped into sweet childhood memories (also helped me to fill the gap of my father’s early departure from this life). Time went on. I was in my teenager years when something struck me hard and deep: I saw the first Star Wars movie. My young teenager mind could not explain but I could feel it. I left the cinema with wide open eyes, shining awe and adventure. It was impossible to go to sleep or stop the mental storm of ideas that overlapped each other. The force was really with me. Again time went on, I finished high school and went to university to study: psychology. When I got out of university life, my entrepreneur spirit kicked in, and after a couple of brief short jobs, I started my own consulting business of psychological assessments, profiling, recruiting and training for local and big multinational companies. Life was good. Business grew and expanded to an office in Madrid and another in Lisbon with perspectives of further expansion to Africa or Brazil. At the time I could be considered prosperous with a beautiful girlfriend, nice apartment, a jeep, holidays abroad, appearance on radio and business magazines. Suddenly destiny struck. Success was no longer the driving force of my life. I was feeling uneasy, empty inside, like having a hole in my chest. My guiding direction was lost and the meaning with it. Very uncomfortable times. My interests shifted from business to psychotherapy. It was like going back to the roots of my psychology course and I began to explore a more in depth, a more intimate and profound branch of psychology. During this period I had a Kundalini Rising episode, characterised by boundless energy and insomnia. There was some bodily changes: higher temperature than normal, and a vibrating feeling all over my body. I could also feel fluxes of energy rising on my back, thorough my spine into my head. Gladly it was short lived and I could resume normal functioning. At this moment in my life, I could not avoid the prospect of attending therapy (even my girlfriend was mentioning it) but nothing would do the trick. As a psychologist I was not eager to go with any other mainstream psychotherapist. I was too cocky but at the same time there was some truth in it. Most of the psychotherapists I found at the time where coming from a Behaviour Psychotherapy background, which I know is not the best approach in cases of existential or spiritual emergence. On the other hand the pure humanistic psychology ones lacked the spiritual dimension that I needed and wanted to embrace. What I sought would do the trick was a Jungian analyst, but there was none around. After a more thorough search, I finally found one, 135 km away, which was impractical for my needs. I surrendered then to the Transpersonal therapists that I could find on my town. The experiences varied, some ill prepared for the job, some too dogmatic in their spiritual agenda and some lacking the humanistic connection, relying to much on the techniques. I reached the conclusion that I am going to learn what I need, and so I did: a year post graduation in Regression Therapy, in Lisbon, a year of Psychosynthesis, in East London University, and another year of Gestalt therapy in Lisbon again. During these years I met quite good therapists and learned a lot of what I was looking for and needed. Some other courses would follow at Findhorn Foundation and others at the Foundation for Shamanic Studies. I knew that my inner process was not over yet, but at least I was aware of it. I was still licking the old wounds, processing them, but having much difficulty with forgiveness, which was several times suggested by transpersonal therapists ignoring the fact that that doesn’t work for me. Only years later I made peace, touching ground with acceptance, and in a way forgiving myself. It was no longer possible for me to embrace wholeheartedly the role of being the boss of my own company. I wanted to move and give expression to the need of doing therapy and being a psychotherapist. This led me to the process of selling my consultancy business and embark in being a full time therapist, but there was something still missing. I continued to read a lot of Jung’s work and be fascinated by it. 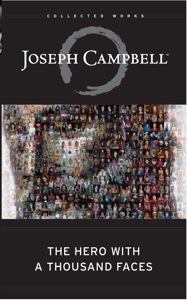 Along came Joseph Campbell with “The Hero with a Thousand Faces”, the hero archetypes, and the knowledge of all the contemporary books and movies: Matrix, Star Wars, Lord of the Rings, Finding Nemo, Harry Potter, and others. Just by coincidence or should I say synchronicity, Rebillot was coming to Europe, to run a two week workshop, in less than two months. I emailed him but all the places were full. I was sad but I had not lost hope. A couple of days afterwards a person dropped out and I could book my place in the workshop (another synchronicity?). I did the two weeks workshop and I was marveled by it, although it was difficult to explain to others, friends even, the sort of experience I went through. Difficult because our western society, has lost the connection to the cultural heritage and the transformational psychology of rites of passage. The Hero’s Journey experience I had, was mystical and also grounded, not run by a priest nor a shaman but by an experienced psychotherapist with inclination to Gestalt, Jung’s Deep Psychology and the work of the great mythologist Joseph Campbell. We were talking the same language, the language of transformative experience. After a year and half, after I attended the Hero’s Journey with Rebillot, I found the courage to run my own Hero’s Journey workshop with the support and help of close friends. After the workshop the feedback surpassed my expectations but even more, was what happened to the lives of the participants: one left his steady job and started his own company, another accepted a job offer on the other side of the Atlantic, another went to Italy. Their lives were never the same, and the most interesting thing was going to happen to me. One day I was watching TV (I used to watch TV then) and a documentary about Arthur C. Clark’s life was on. It showed his normal day to day: scuba diving in the morning (which I love doing) and writing books in the afternoon on his veranda overlooking the Indian Ocean. Clark was telling how his story happened. One day he went on holidays to Sri Lanka fell in love with the place, went back to England an sold everything and moved totally to Sri Lanka. It was obvious to me that Clark had found his place in life. I mean a real physical connection to place that would support and inspire his work. Realising this was like taking a huge punch in the stomach from life, which was asking me: “and you Jaime, have you found your place?” This question was haunting me day and night and I had to come up with an answer. It was unavoidable. After long mental scrutiny Australia appeared as an interesting option but I have never been to Australia. Would this be a wild goose chase that I was convincing myself into? While talking to some friends about this idea, I knew that a couple friend of mine were guesting another couple from Sydney, Australia, in less than a month (it was the first time they were visiting them). Cutting a long story short, I meet them and after two months, I was in Australia for a two week holiday, a kind of scouting tour, to know if the place was the right place for me to start a new life. The most incredible thing was about to happen. Something that I couldn’t predict. On the exact day when I arrived to Sydney, Arthur C. Clark passed away. Wow! Looking back, I started all this process of finding a new place, when I first saw Arthur C. Clarke’s TV documentary, and I witness his death on TV on the precise day that I arrive in Australia. What were the odds of this? Went back to Portugal and sold every thing. While preparing to move to Australia, another idea began to form. Instead of going directly to Australia, I could do a gap year and embrace the opportunity of visiting all the places I always wanted to go and never had the chance, a kind of Personal Bucket List This gap year turn into almost two years, and took me to: Egypt, India, Singapore, Thailand, Indonesia, East Timor, Hong Kong, Japan, US, Belize, Guatemala, Brazil, Turkey, and finally Australia where I stayed for 4 years. More things would happen in Australia. 2001: A space odyssey. Clarke A.C. Rosetta Books, (2012). Spiritual emergency: When personal transformation becomes a crisis. Grof S., Grof C.JP Tarcher, (1989). The Hero with a Thousand Faces. (1949) Campbell J. Princeton, NY (1972). One of the most significant milestones in the history of life on earth occurred several hundred million years ago when the first living organisms took flight with wings. Initially there were insects, who ruled the skies for at least 100 million years. Then about 220 millions years ago the first flying dinosaurs, called Pterosaurs, appeared. Roughly 70 million years later, the Pterosaurs were either joined by, or turned into, slightly different kinds of feathered creatures called birds. Although there have been many significant human milestones, one of the most groundbreaking (pardon the pun) occurred when the Wright brothers ushered in the age of human airflight in 1903. Not surprisingly, it was the brothers’ observations of birds that helped them construct an aerodynamically sound flying machine. Birds, they noted, changed the angle of the ends of their wings to allow their bodies to roll left or right. Wilbur and Orville realized that this was also a good way for a flying machine to turn. A pilot needed only to lean into a turn like a bird or a person riding a bicycle. As fate would have it, the Wright brothers’ expertise in bicycles played a crucial role in their ability to solve a variety of conundrums associated with air flight. In December of 1903, Orville and Wilbur Wright left their bike shop in Ohio to test their latest ideas about flying on the beaches of North Carolina’s Outer Banks. The first historic flight occurred on the 17th of December, an icy cold and windy day at Kill Devil Hills. Bad weather had been a persistent problem and the brothers began that day nearly ready to give up and try again the next year. 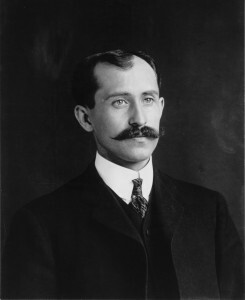 After two failed efforts to fly their machine that day, Orville Wright was able to take the Flyer for a 12-second, 127-foot-long sustained flight into a 27 mph wind. Although he never went higher than 20 feet above the ground, this was the first successful, powered, piloted flight in history. Minutes later, another flight piloted by Wilbur traveled 852 feet and lasted nearly a minute. Heroes were made on that day, and the world was forever changed. The brothers knew that they had to make several improvements before their machine could be considered a practical airplane. In October of 1905, they flew an airplane almost 25 miles in 39 minutes. Wilbur and Orville Wright had at last invented the world’s first practical flying machine. They continued to set new records in distance and duration of flight in front of astonished crowds. In 1911, they flew the first plane to cross the United States. This flight took 84 days and had to stop 70 times. 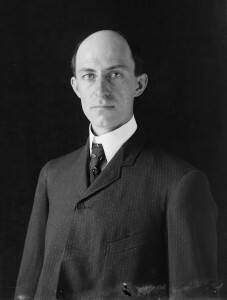 By the 1920s, people began to recognize the importance of honoring the Wright brothers’ heroism. On March 2, 1927, President Calvin Coolidge established the Kill Devil Hill Monument National Memorial on the exact spot at which the historic first flight occurred. In previous blog posts, we’ve documented the remarkable accomplishments of other scientists and inventors who devoted their lives to making the world a better place. These notable individuals include Marie Curie, George Washington Carver, Florence Nightingale, Albert Einstein, and Mae Jemison, among others. We add the Wright Brothers to this illustrious group. The gift of flight has immeasurably improved the quality of countless lives. People are now better connected through globalization, and the science of flight has put men on the moon. We owe a debt of gratitude to the courage, genius, persistence of Wilbur and Orville, as well as to the many other early pioneers of aviation. 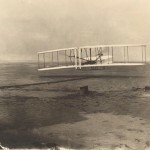 Below is a clip from NOVA’s tribute to the Wright Brothers on PBS. Oops! We had to remove the hero profile you’re looking for because it appeared in our book Heroic Leadership: An Influence Taxonomy of 100 Exceptional Individuals.